We ask a lot of our ponies as we need them to have a calm temperament, but at the same time to be forward going and responsive. 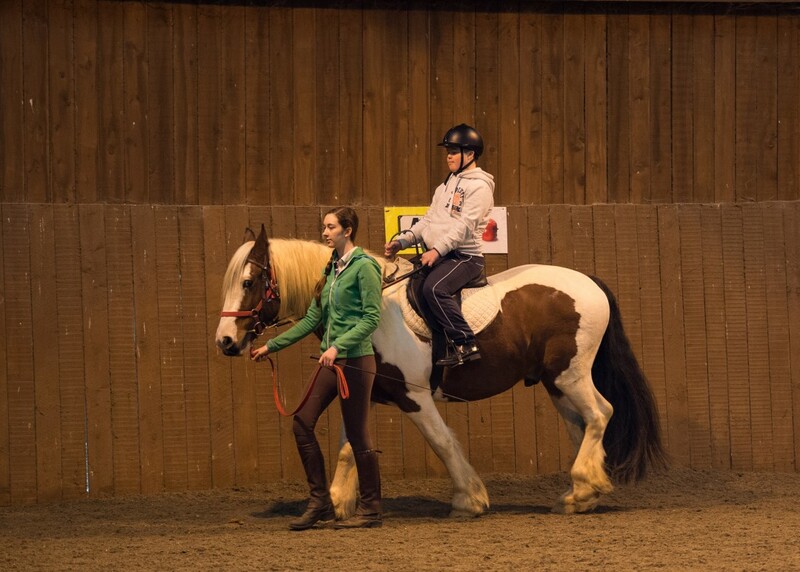 As well as providing a steady ride to look after our inexperienced riders, some of our ponies are ridden in dressage competitions at Regional and National RDA competitions by the more independent and advanced riders. We have a dedicated team who are responsible for the care and welfare of our ponies. Ensuring they stay fit and supple so they can meet the demands we place on them. They are also taken out on regular hacks to help keep them stimulated and to give them some fun too. You can find out more about each of our ponies by clicking on the name tabs. If you take a liking to one (or more!) of our ponies you can adopt them through our Adopt a Pony scheme.